You are here: Home / Skincare / Alternative / Juniper Essential Oil of the Month! Gin & Tonic Anyone? Juniper Essential Oil of the Month! Gin & Tonic Anyone? Traditional Use: Juniper has been used to purify the air, and as an insect repellant. Juniper berries are a spice used in a wide variety of culinary dishes and best known for the primary flavoring in gin (and responsible for gin’s name, which is a shortening of the Dutch word for juniper, genever). Juniper berries are also used as the primary flavor in the liquor Jenever and sahti-style of beers and some times sauerkraut. Juniper berry sauce is often a popular flavoring choice for quail, pheasant, veal, rabbit, venison and other meat dishes. It is also a symbol of longevity, strength, athleticism, and fertility. American Indians, such as the Navajo, have traditionally used juniper to treat diabetes. 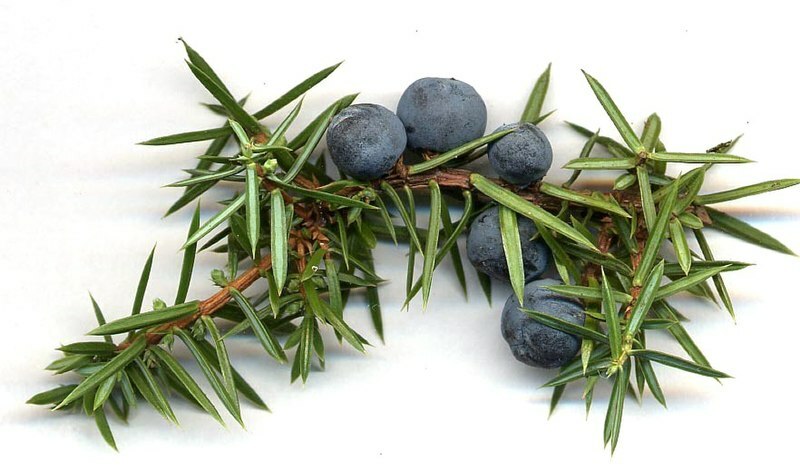 Juniper berries are steam distilled to produce an essential oil that may vary from colorless to yellow or pale green. Some of its chemical components are alpha pinene, cadinene, camphene and terpineol. Leaves and twigs of Juniperus virginiana are steam distilled to produce oil of juniper. Juniper has a clean, mildly penetrating, woody scent that has a cleansing effect on the mind, spirit, and body. It may work as a detoxifier and cleanser, is beneficial to the skin, and supportive to the urinary system. Essential Oil should not be applied directly to the skin but in carrier oils, putting the oils directly on the skin is too harsh due to their concentrated form. Add a few drops of juniper essential oil to the carrier oil. « A Little Bit of Inspiration for March!